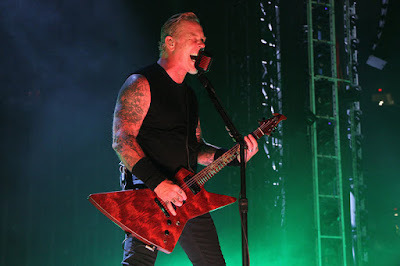 Metallica performed their 1984 classic, “For Whom The Bell Tolls”, at BC Place in Vancouver, BC on August 14, and the band are sharing professional footage from the event. The tune was the second single from the band’s second album, “Ride The Lightning”, which peaked at No. 48 on the Billboard 200 on its way to US sales of more than 6 million copies. The trek – which opened at M&T Bank Stadium in Baltimore, MD on May 10 – wrapped up with a hennemusic live broadcast stream from Commonwealth Stadium in Edmonton, AB on August 16, which can be seen in its entirety here. Metallica are currently enjoying a two-week break before launching a European arena tour at the Royal Arena in Copenhagen, Denmark on September 2. The band will release a series of expanded reissues of their 1986 album classic, “Master Of Puppets”, on November 10.